The new event was also revealed in a Tweet on Friday by American Sports commentator Bernie Wilson, who said that former America’s Cup holders Ellison and Coutts plan a new sailing league called SailGP in an enhanced class of foiling 50-foot catamarans. This event has been subject to much speculation over recent months, but it seems that it is all now coming together, with Oracle billionaire Ellison determined to shake-up the traditional sailing world, and prepared to financially back the league until it moves to a franchise model. Building of the new 50-foot catamarans is believed to be underway in New Zealand at Ellison’s Core Builders Composites for the new series. 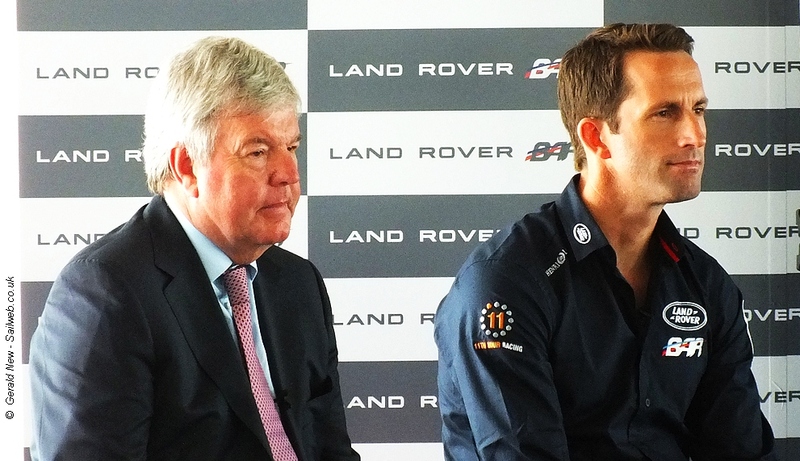 Sir Keith backed the previous British America’s Cup efforts of Sir Ben Ainslie (see image above), but following the failure of that challenge, Jim Ratcliffe, founder of chemicals group Ineos, has taken over the sole backing of Ainslie’s new America’s Cup challenge. It appears that Sir Keith (Origin Sports Group) is on-board with Ellison and Coutts’ plans to form a rival sailing competition to appeal to international TV audiences, something that even the high profile America’s Cup has struggled with. Sky News reported that Sir Keith Mills will have a role in running the British leg of the league, which is planned to start in early 2019 in Sydney, Australia. With the next America’s Cup challenge already in the planning/build stages, there could be a clash with regards recruiting crew members for the two events. An official announcement will be made on Wednesday 3 October in London, UK. Other background sources . . .